When I read about the recent news article “Kidney-for-sale: CK Tang chairman charged with 3 counts” on 10 Jul 2008, Straits Times, I couldn’t believe my eyes. CK Tang’s chairman Tang Wee Sung, 55, was charged in court with trying to buy a kidney from a living donor, for which he was willing to pay $300,000 to a middleman to procure it. 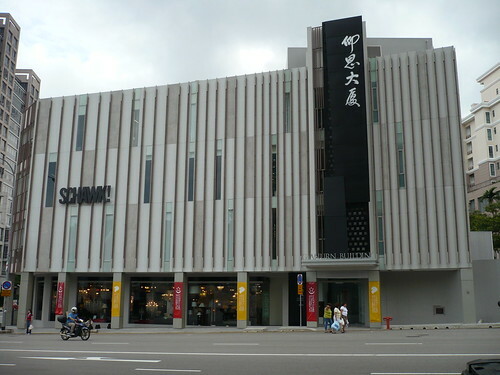 Mr Tang Wee Sung is the second son of the late Mr Tang Choon Keng, founder of Tangs department store. He joined the Company in 1975, at the age of 22. The late Mr. C.K. Tang died at the ripe age of 99 on 3 Sep 2000. I remember when I was still staying with my Godparents place at Beatty Road, in the 60s and 70s, C.K. Tang was commonly known as 詩家董百貨公司. You may read more about how C.K.Tang started in Singapore here. – 1923, Mr. C.K.Tang came to Singapore. He started off as a door-to-door salesman and would hired a rickshaw to put his pair of tin trunk which probably still around now (but no photo of it shown so far). He was later known as the “Tin Trunk Man” or “Curio King”. His products then were just hand-made Swatow lace, emboidery and linen. – 1932, 9 years after he came to Singapore, he saved enough to set up his first store on the first floor of a building in River Valley Road. His initial capital was only $3000! Credit : Photo taken by Victor Koo. Gainurn Bldg in 2008. As mentioned by Victor, note the pillars of both bldg. – 1958, he bought a 1,351sq.m. piece of land at the corner of Orchard Road and Scotts Road at a price of $10,000. 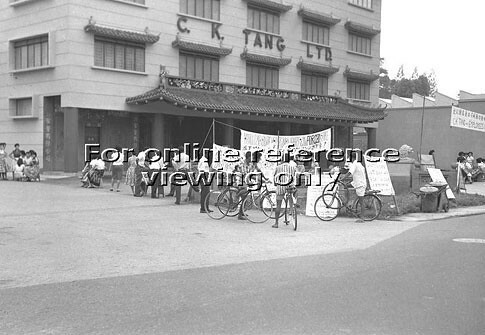 Though this site faced the then Tai Shang Ting cementary, he believed it had commercial value. Credit : Editions Didier Millet, Over Singapore 50 Years Ago, by Brenda Yeoh and Theresa Wong. 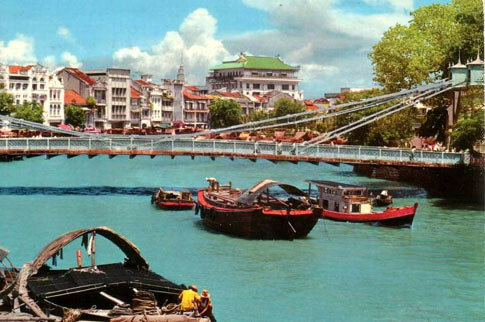 A few months before the above strike in 1960, Mr. Tang was kidnapped by four armed thugs, but was freed unharmed within 84 hours after the family reportedly paid S$150,000 in ransom. I really respect his “never give up” attitude. 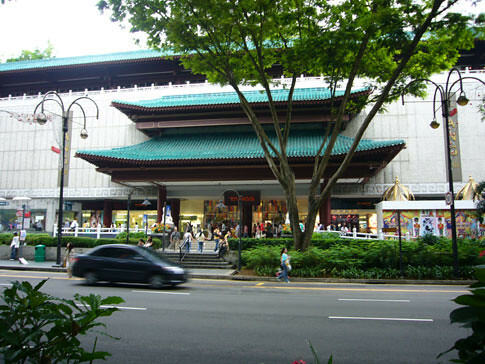 – 1982, the old green tiled roof building was demolished to make way for expansion – a 33 storey Dynasty Hotel (now renamed as Singapore Marriott Hotel) and the Tangs shopping complex (now Tang Plaza). 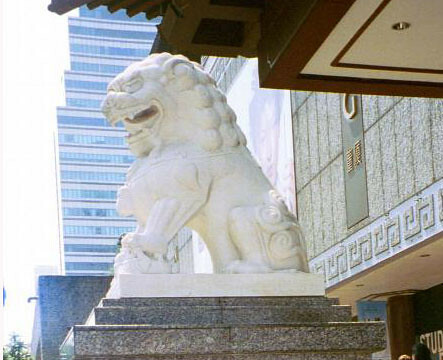 Hope that all these stone lions can bring good luck to their owners. How many still remember the fire at Tangs in 2006 December? 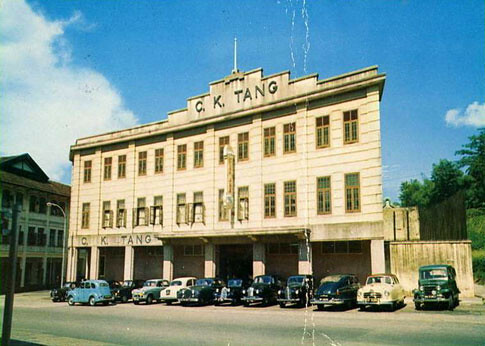 Oh, there is one thing that was memorable about CK Tang – it was probably the only major shopping centre that did not operate on Sunday until 1996! That was to allow his family and his Christian staff to attend church on Sundays. 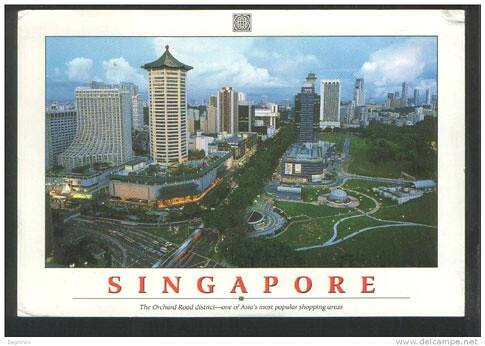 Ah, that’s a nice aerial photo of Orchard Road in the past. So different from now. I happened to be across the road from Tangs just after the fire was put out (I think). The fire engines were still parked outside but there didn’t seem to be much commotion. Just a lot of curious onlookers. Over Singapore 50 Years Ago is such a wonderful, wonderful book. I’ve got a lot to thank that book for, it was so helpful in figuring out little nagging questions and I LOVE how it included so-called ulu places like Woodlands Road. I got a thrill figuring out which roads were already there in the 50s and imagining what nearby areas would look like in the kampong days with no main roads and flyovers etc. I have been wondering what was the old building with the Imperial-palace roof by the Singapore River. In fact, I wanted to put up an “old building” quiz soon to ask readers. But I found the answer in this post. Thanks. You are pretty fast in posting your comments – just within a couple of hours of my posting hehe. Guess the fire was not a big one but wonder how it got started? You are right Passerby, that Over Singapore 50 years ago is really a very wonderful book. Hope to borrow it again but forgotten which library I came across this book. I’m not 100% sure of that green roof building near the Singapore River. I’m only guessing….maybe Peter or Chun See can confirm it. 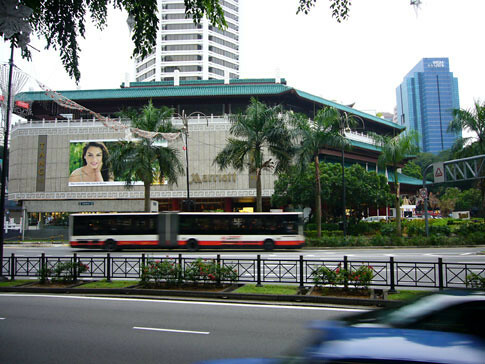 The side road in front of the Marriot Hotel facing the slip road from Scotts Road into Orchard Road was not a part of the old CK Tang store. There used to be a 2-storey row of shop-houses; a piano shop called Liew Piano or something like that, a laundry shop. 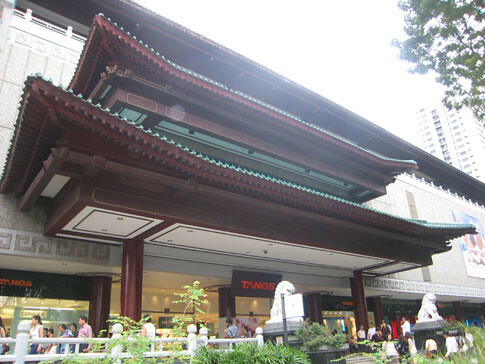 Ang mos like to shop at Tangs because they sold plenty of camphor chests, cutleries, bedlinen. On top of that if you buy above a certain dollar value they do home deliveries to where you stay. So it was only the local store besides Robinson’s that offered this home delivery service. 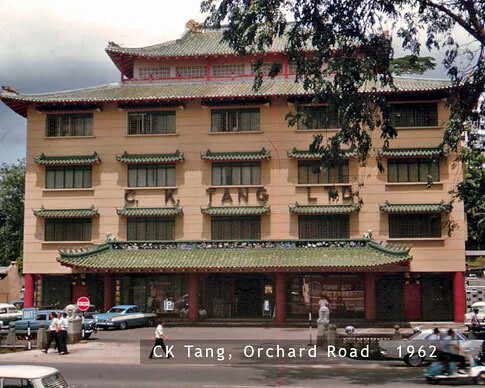 When I was young, below 10 years old (that was in the 1980s), CK Tang, was one of the few buildings that I could instantaneously recognise from miles away when I see it from a distance away. One more shop I remember – Noritake House. Popular for its Japanese pottery stuff for the kitchen and dining table. Thanks Peter. Now I can confirm that green roof building by the river was OCBC. Wait a minute, how did C.K.Tang get its name? The last time I checked, Tang Choon Keng is not 董詩家 leh. You are right Icemoon. CK Tang Chinese name is (simplified Chinese: 董俊竞; pinyin: Dǒng Jùnjìng). And why is it known as 詩家董 is probably a direct dialect translation from his English name CK Tang. Or anyone knows the reason?? Here is a photo of Gianurn Building taken last Monday. The photos look different, don’t they? But if you compare the pillars on the ground floor of the building between the 2 photos (as LKK is wont to do), they match exactly in number and spacing. So the building is the same one in the two photos. Just an opinion from a new 2nd-shooter. Thanks Victor. I’ve uploaded it and compared them – agreed, they seem to be the same. Based on the same angle that you have taken that shot, that bldg still looks “depthless” like the Gateway Bldg (triangular in shape). I wonder if it is really triangular in shape. Thanks once again for taking the trouble to take a photo of it. No trouble at all. I was on leave on Monday and was exploring the River Valley area on my bicycle. I remember your post and so I took a photo of the building for comparison purpose. Incidentally both the Ck Tang Building and the OCBC building with the green roof was designed by the same architech, my great grandfather Seah Eck Jim. 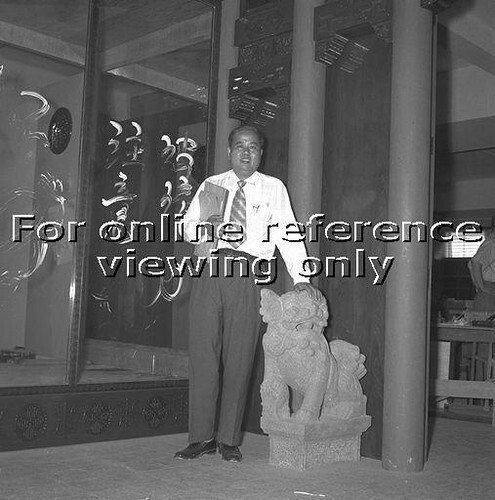 He was the first local architech in singapore. I am still looking up on his works, any info on his works would be appreciated. P.s. : I’m doin a project on Chinese firm, and i chose CK Tang. do email me if u had e time to do so yeah? thx again! If I had a penny for each time I came here! Amazing writing! 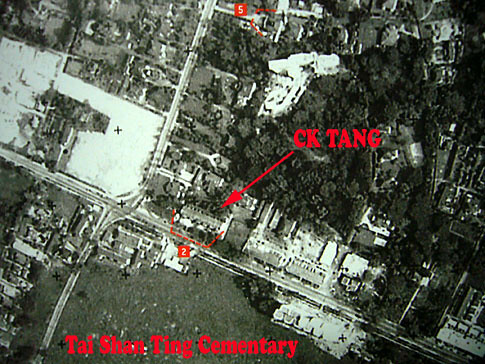 can anybody help me to trace the family lineage of CK Tang. His elder sister is my maternal great grandmother. I would like to find the name of my grandmother who passed away when my father was just 2 years old during the Japanese occupation in 1942. I lived in Singapore all through the sixties. 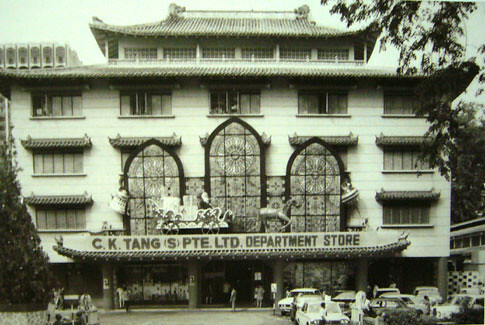 Tangs was my favourite place to go – it really was a treasure trove back then of all things oriental and quality. Wonderful beat ! I would like too apprentice whilst you amend your site, how can i subscribe for a blog website? The accfount helped mee a appropriate deal.